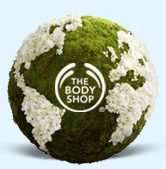 Heads up if you have recently shopped at The Body Shop! If you have made at least one qualifying purchase with a credit or debit card at a retail location in the US between 2/12/11-3/21/17, you can get up to a $12 gift card. This comes after a settlement with this company and no proof of purchase is required, however make sure to only fill out the form if you have purchased the products. You can check qualifying purchases here. Do note it can take a long time for payout.